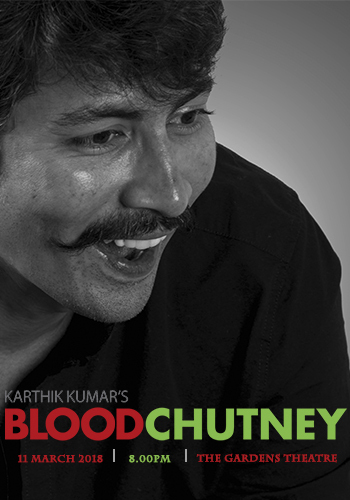 Boggler Blogger: Karthik Kumar's Blood Chutney Giveaway! Karthik Kumar is one of South India’s biggest names in the comedy industry is coming to Malaysia for the first time with his third stand up special, Blood Chutney! With a tagline of Main Dish Comedy, Side Dish Blood, the show is comedy catharsis at its best and is born out of his own difficult personal situations. “Blood Chutney is about the many difficult challenges that have happened around me and myself, and it asks a paramount question, and that is, can we find humour in all of this? This makes Blood Chutney a unique stand-up comedy show that has a lot of comedy that originates from a peculiar space. My goal is to inspire people to laugh at the ‘curve balls’ that life throws at them, and keep moving forward,” said Karthik Kumar. 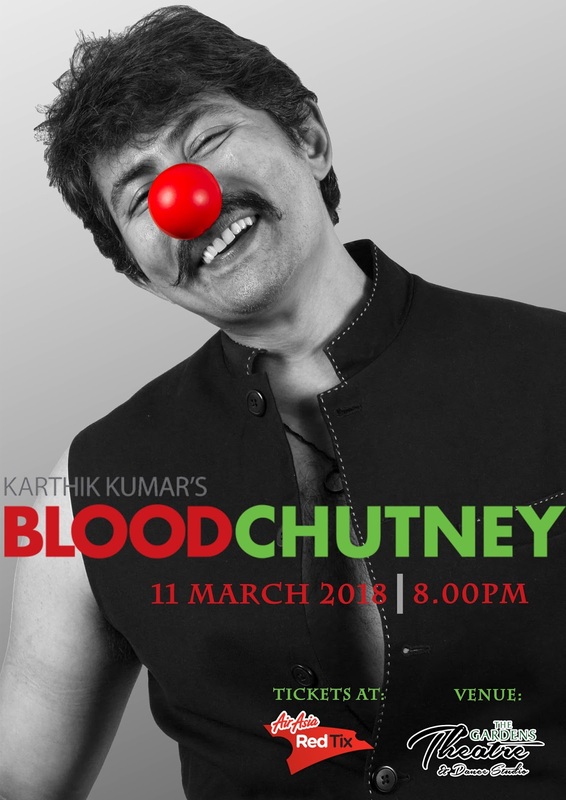 Tickets to Karthik Kumar’s Blood Chutney are on sale at https://airasiaredtix.com/karthik_kumar_blood_chutney with tickets starting from RM 120 to watch Karthik Kumar live at The Gardens on 11th March, 2018 !